Invisalign has become an increasingly popular method of repairing the smile when misalignment is an issue. This treatment has many advances over conventional braces, and Shrewsbury area dentist, Dr. Levenson, can work with new and existing patients to determine which solution is best for specific smile needs. Invisalign is done with clear plastic aligner trays which are worn to gently reposition the teeth. They must be worn at all times. This is often not a problem as they are incredibly comfortable. They are made of high quality plastic which is smooth and does not scratch the inside of the mouth as conventional braces can. By using clear plastic aligners, the treatment can occur without many others even realizing it. Invisalign is very discreet, allowing teenagers and adults to rejuvenate their smile without others knowing. Traditional metal bracket and wire braces can be obvious and very unattractive, which is one of their primary disadvantages—especially for those who are worried about their appearance during treatment. Dr. Levenson may suggest Invisalign if patients are uneasy about the idea of covering their natural teeth with metal. 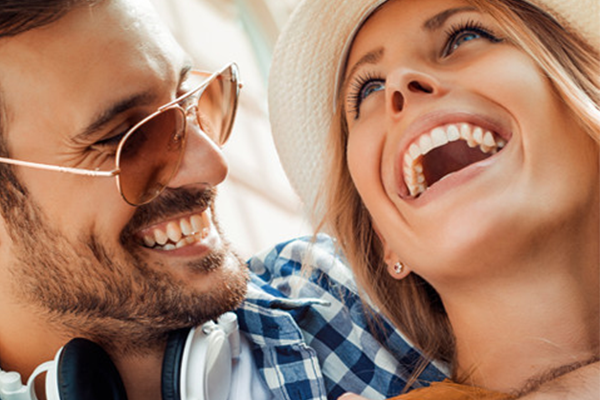 Invisalign is an affordable way of straightening the smile. In most cases, the cost is comparable to that of metal bracket and wire braces. Traditional orthodontia requires that patients visit a specialist called an orthodontist. They may be someone patients do not already know and trust with their dental care. With Invisalign, patients can continue to see their family doctor for treatments. Dr. Levenson will only refer patients to an orthodontist if their dental concerns are more severe than what Invisalign can handle. While patients must insert and remove Invisalign aligners, they are still easy to use. Patients must comply with treatment in order to see the desired results. Invisalign trays snap in and out of the dental arch with ease. At Levenson Smile, we believe everyone has the ability to achieve a beautiful smile that makes them happy and confident. Shrewsbury area patients are encouraged to visit with Dr. Levenson to learn about the advantages of Invisalign over conventional orthodontia.